My Husband and I recently went on a date nite at Pladib (read about it here) and this is what we had (be warned, it's a LOT!). Just the two of us! 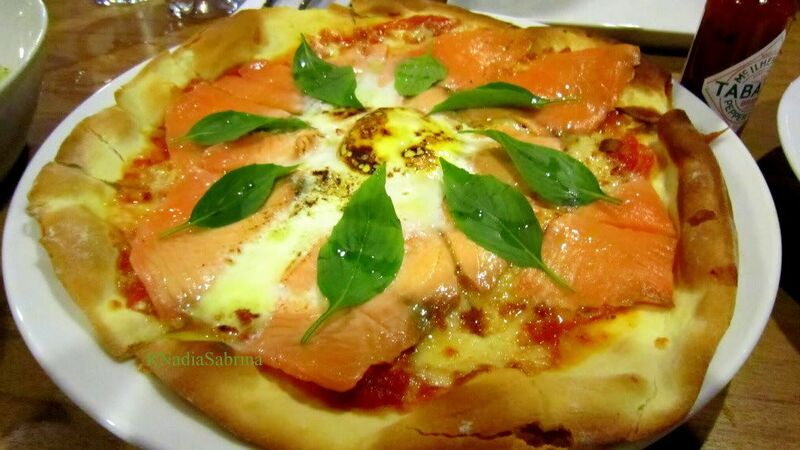 This was the reason I came all the way to Seri Kembangan: I saw reviews on Pladib's famous Smoked Salmon Pizza (and the Salmon Labb). I am crazy over salmon! Now, after seeing the disappointing portions of the Salmon Labb, i expected the pizza to be similarly small but when the pizza came, WOW. It was quite big, and I definitely had to share it. Duh! The crust was very thin and crunchy, and the salmon slices were really thick. My poor husband suffered from salmon overdose! hahaha. I also ordered the Mashed Potatoes and Wasabi because I was curious. This was simply scrumptious! 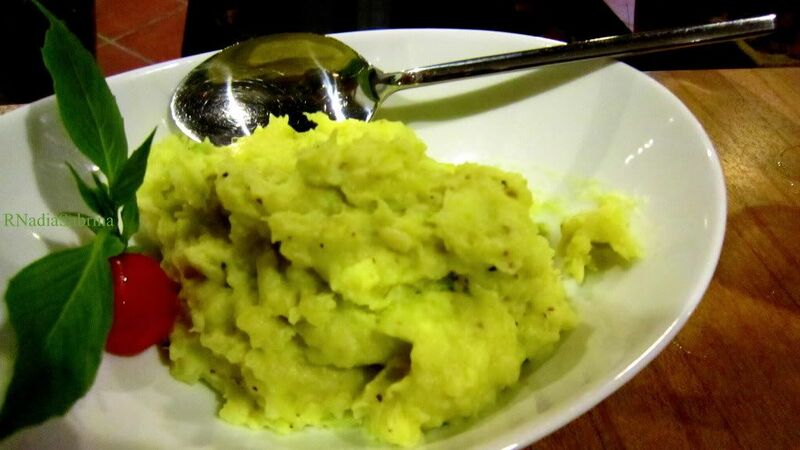 The mashed potatoes were home-made with creamy chunky potatoes and the wasabi flavour was not that subtle, but explosive just the way I like it! The portion was generous and we scooped it up until the plate was clean. It left a lasting taste in the mouth, the wasabi was really strong. Maybe I should try to make this at home. 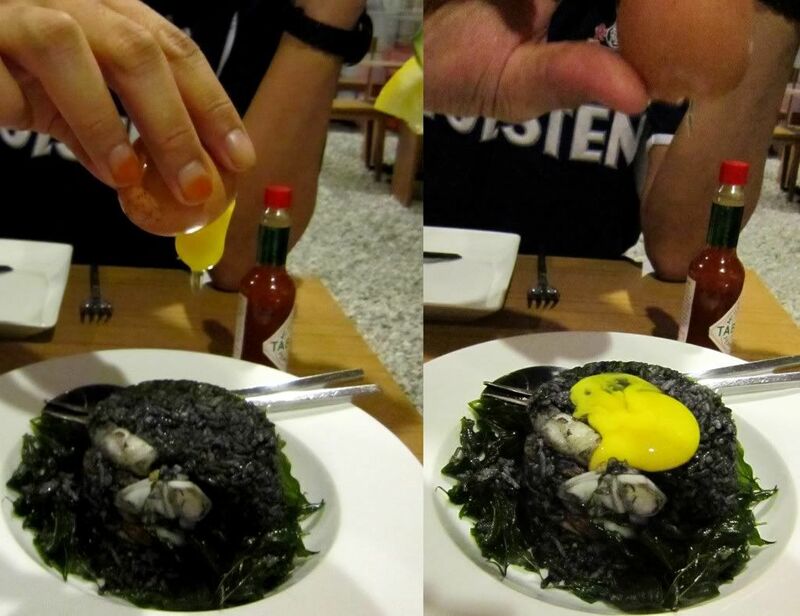 My husband ordered the Black Fried Rice with Squid Ink and Seafood. Now, we didn't know what the dish would look like and was somewhat surprised that it came with a raw egg on top. We were both apprehensive of this dish, and my hubby looked like he regretted ordering this. 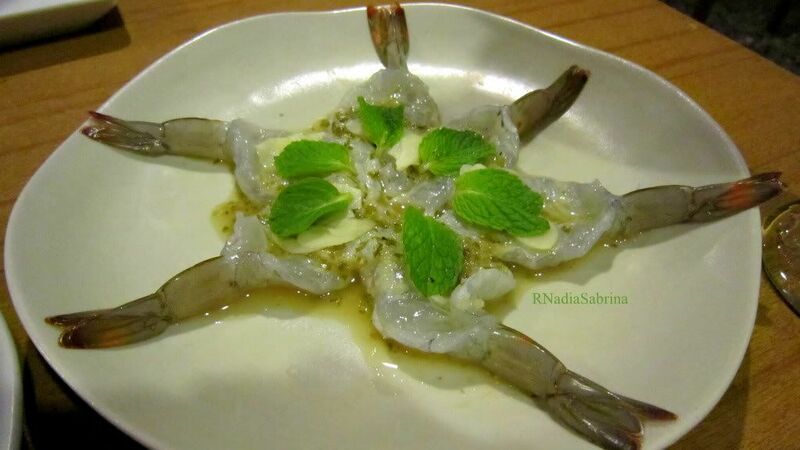 Personally, I was a bit sceptical myself when I looked at the dish. But, don't judge a book by it's cover. Although the presentation was unique we didn't expect it to be thaaaat good! 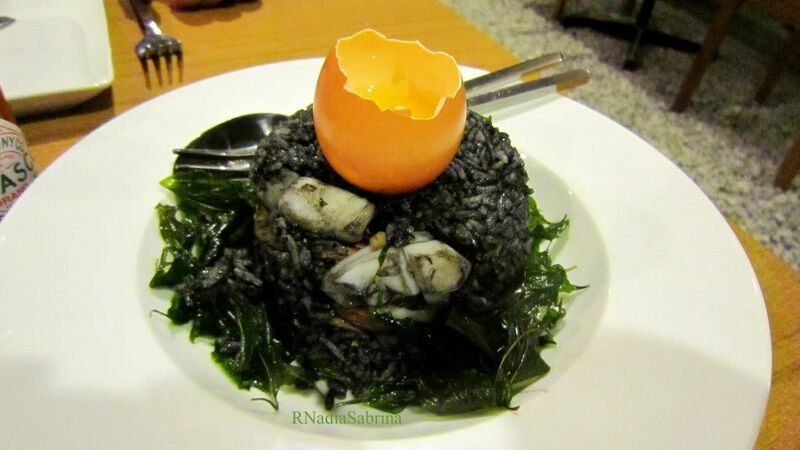 So apparently, this is how you eat the dish, you have to pour the egg onto the rice. The smoked salmon pizza was nicer than the salmon labb, but the black fried rice was probably the best dish we ordered for the night. It was a little bit sticky (caused by the egg) but it was hot, very spicy and really outstanding. Secukup-cukup rasa! (Everything was just right). If I had to explain, it tasted a little bit like Nasi Goreng Tomyam but 10000000 times better! This is a definite must try, guys! The winner. It looks simple, but underneath the rice there are huge chunks of generous fresh seafood. Oh, I'm drooling again as I'm typing this. 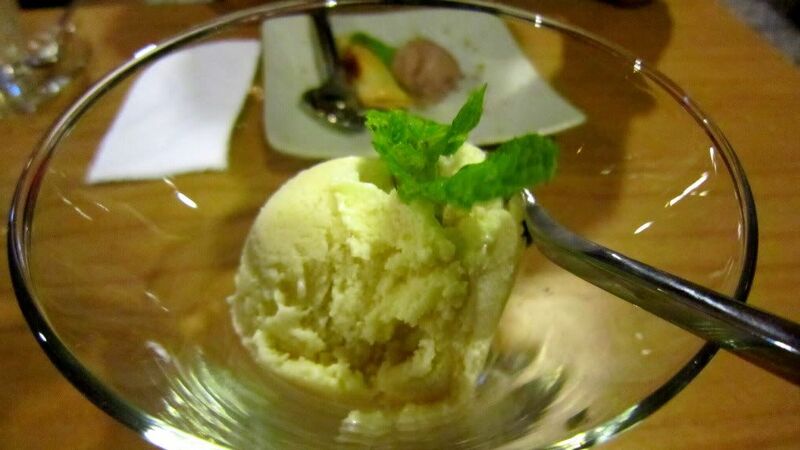 For dessert, I ordered the Home-made Durian Gelato which was quite nice I must say, and downed all the different flavours of the dishes I had today. That's expected, because it's durian! 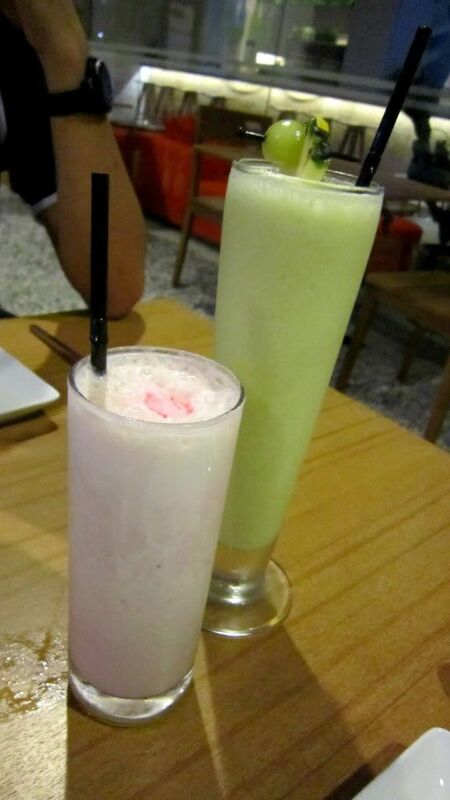 Creamy and pure! 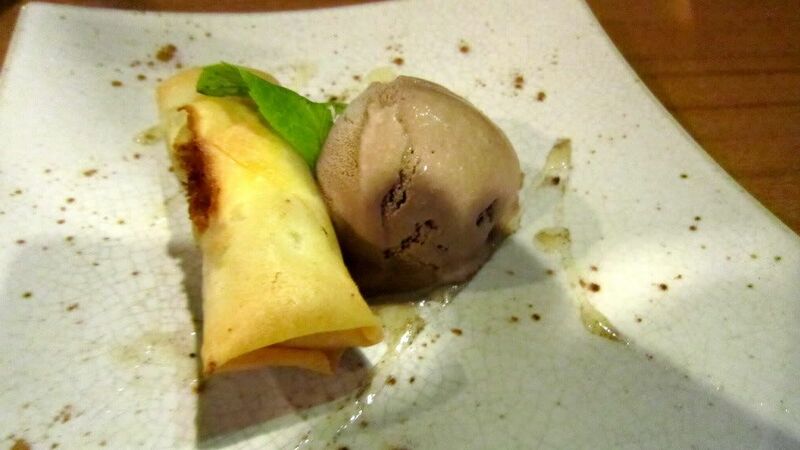 Although the durian was surprisingly not overpowering, it was the perfect ending to a wonderful fusion of flavours. Yummayh, this is. Hubby ordered the Flame Crisp Mango with basil and vanilla ice cream, although they ran out of vanilla ice cream and replaced it with chocolate ice cream, which my husband doesn't normally like. I didn't try this because I was already so full, but my husband said it wasn't anything special (probably because of the chocolate ice cream). So that's the long list of what we had at Pladib. Just the two of us. Anyone who truly knows me would know that I eat a lot! I have a big tank like some of my friends say. Haha. Pladib has branches in Bangkok, Singapore and this outlet in Seri Kembangan is obscurely placed, but well worth the trip there. Pladib is definitely on my must-visit again list. 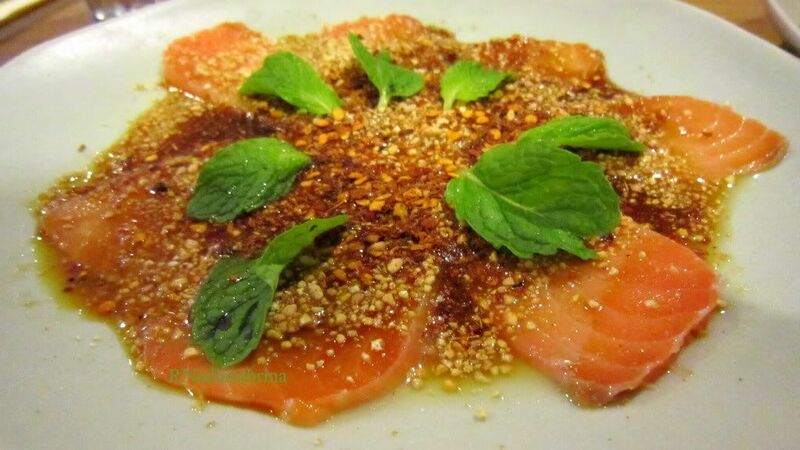 I came for the Salmon Labb and Smoked Salmon Pizza, which was delightful for a salmon-freak like me but the simple-looking shrimp and black fried rice were definitely must-try dishes which were unexpected. Sometimes you find something better unexpectedly if you just give it a try. The Thai-Japanese fusion was crayzeehh!!! Can't wait to go again!